With all the focus lately on my questionable rust repair techniques, I haven’t said much about the engine. I have a modest list of parts to source and buy, but basically, the engine is all torqued together and is just waiting for me to get the body done and drop it in. I have it displayed proudly on a wooden pallet so I get inspired everytime I turn on the shop lights. This is how it looks. I wonder how long after assembly it’s okay to wait before firing an engine up? I expect to fire it up in June. 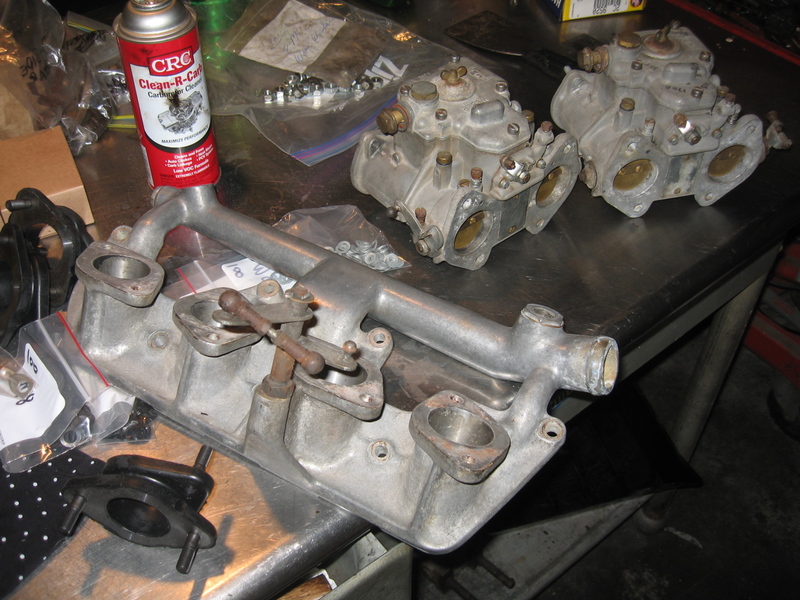 The valve cover is loosely assembled because most of the parts on my ‘still to source and buy’ list are under it. Cams, tappets and shims feature prominently. Another unresolved issue is the holes in the valve cover these valve cover bolts go through are not big enough -I need to drill them all. With all these market summaries and Spiders to write about I’ve been neglecting to have my postings keep pace with my progress on the SS. This is not a total disaster because I really haven’t done anything momentus, just more plating and small jobs on the engine rebuild. Over the winter break I torqued the lower end and head all together so the engine is ready for final assembly, but the details of final assembly have taken some time, mainly due to a missing lock nut. Sorry for the quality of these pictures, they were taken on my phone because I didn’t have my camera. Update 4pm. Aaron put up a new post on his blog with a pretty cool video of his first trip in his 1962 1600 Giulia Sprint that spent a month in my shop getting freshened up to be roadworthy with some occasional, marginally helpful pointers from me. Check it out. Sunday December 6th, 2009. I didn’t have any big plans for the time I would spend at the shop, mostly catching up on some small jobs and doing some organizing. I was cold at the shop, even with long underwear and a thick hooded sweatshirt -hoodie in California stoner parlance, so I was moving slow and not very motivated. 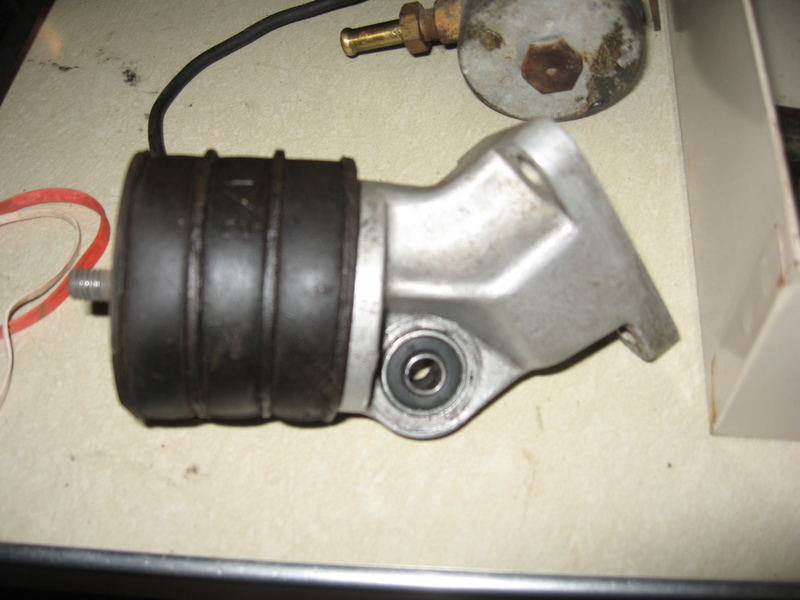 Veloce engine mount receives a good cleaning, new bushing and used but good shape engine mount. Note Bendix fuel pump in the background -the subject of a future post no doubt. Saturday December 5th 2009. I arrived at the shop at noon after eating three Al Pastor tacos from my favorite taqueria -sounds like a lot but it’s not. Initially my plan was to do some more scraping of paint from the engine compartment and front wheel wells but my hands are pretty beat up from the last session doing this, and I’m tired of moving internal engine parts around when looking for things so I decided to do more work on the engine, namely install pistons and liners, water pump and get the oil pan ready for assembly. Beginning at the end as usual. I had just installed the water pump and pulley hardware as 5 pm struck -time to go home. It’s got my name on it! I’ve got a pretty serious cold and in order to keep from spreading it around work I haven’t been there the last few days. I don’t feel horrible, mainly just spaced out from the cocktail of stuff in cold medicines and unable to breathe through my nose, so I’ve been spending a few hours at the shop in warm clothes working on the endless SS project. Today I decided I should mock up the engine pieces to try and identify anything I need to buy now so I can make one long trip and pick everything up at once instead of wasting days looking for one odd sized nut/bolt/washer. I was quite proud of myself when this manifold turned up for a good price. 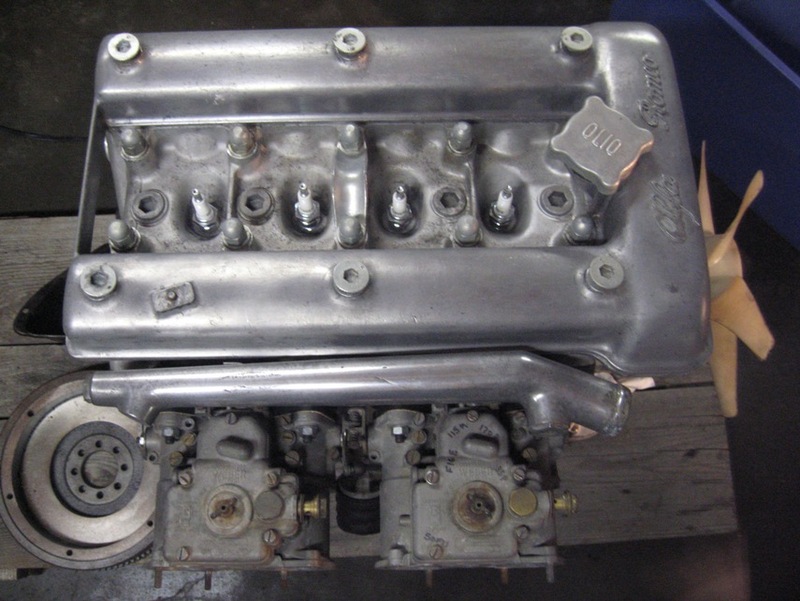 Carbs are a matched set of early 60’s 40 DCOE2’s, the correct carb for all flavors of Sprint Speciale besides early 750SS badged cars (correct me if I’m wrong). I can’t wait to see these doing their job when I pop the hood on my daily driver SS. 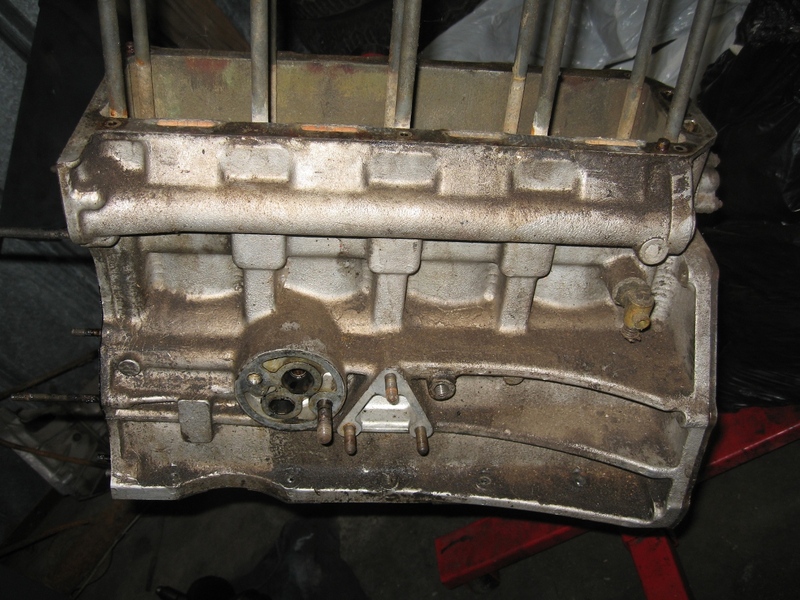 I’ve been keen to get on with this engine rebuild since most of the impediments to my progress have been removed. With the Spider, TI and GTV out of my life, the Fiat back in daily rotation and the Sprint doing its trouble-free thing, I can focus on the SS. I may not have been working on it much in the last year, but I have been buying parts as they come up so I am mainly behind in my processing of the parts and way behind in my getting the floors in the car and the rust repaired. 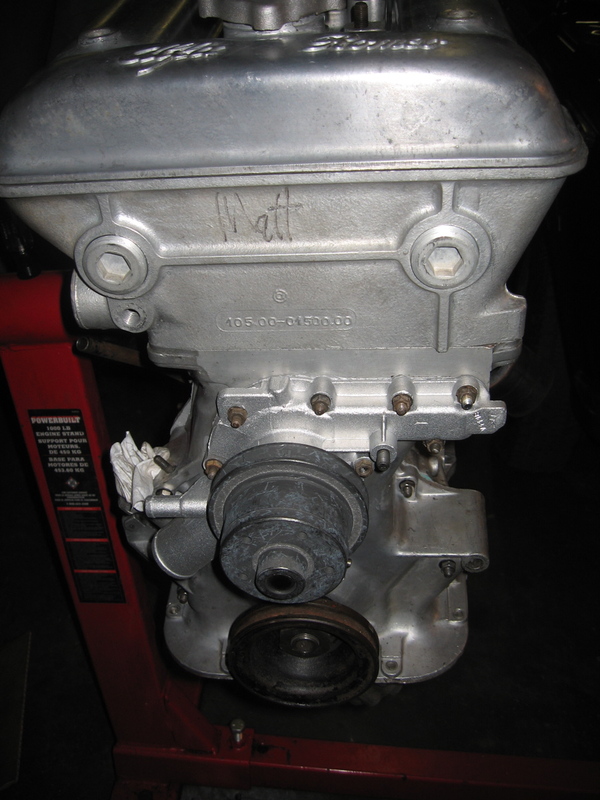 Anyway, this past weekend I got a bunch of rearranging done on the shop and this afternoon I started some of the small ‘parts processing’ jobs I had been putting off, among them the clean up of the timing cover and assembling it along with the timing components to the engine. 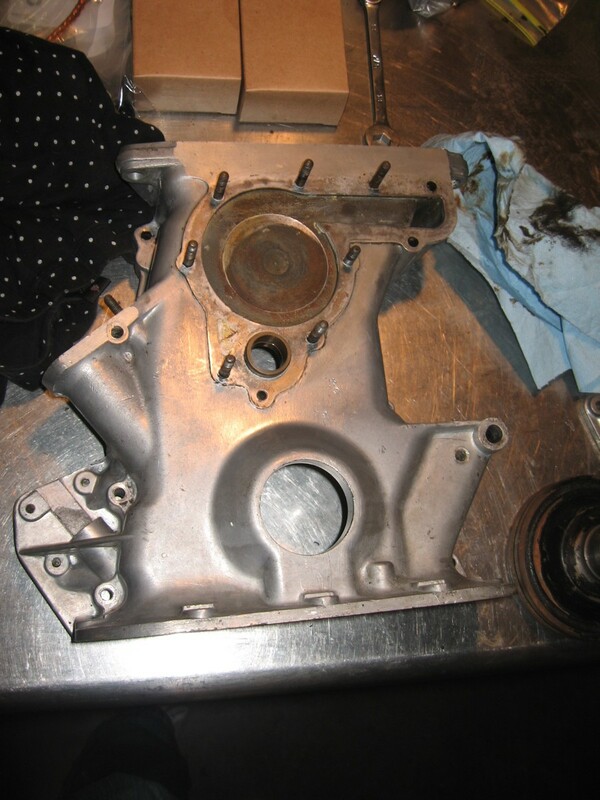 Here’s the timing cover after a power wash, some Purple Power scrubbing, some detail work with carb/choke cleaner and a light polish. Note that the generator bolt hole is in good shape. This cover and the block are stamped ’18’. A matching set. 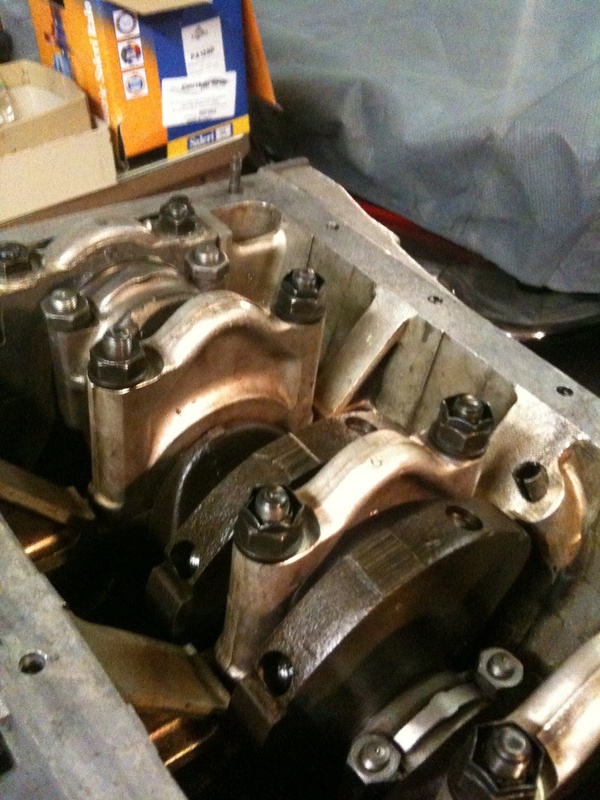 After 9 months in gestation, this baby is going back together. I have been stumbling over parts to this engine (main caps here, front cover there, toe stubbed on crank under rag) while treadng the circuitous detour paths paved by the Sprint, Berlina, TI, Fiat, Multipla, and GTV and it is time to get it together before any of it’s parts disappear. I’ve been throwing in one part for this rebuild with every Centerline order and, with a few exceptions, I think I have everything required to get this thing together.